What are your rights if your car is towed? No one enjoys having their car towed, but councils and private landowners do have rights when it comes to parked cars. Just what are those rights? And what are yours, as a car owner? If I park my car on private property, can it be towed away? Landowners have relied on an ancient doctrine the lawyers call "distress damage feasant" to tow cars parked on their property. The doctrine provides that "It is lawful for an occupier of land to seize any chattels which are unlawfully upon their land and have done or are doing damage there, and to detain them until payment of compensation for the damage is made." Essentially this says that if a neighbour's cow wanders onto your land and starts to eat your crops, you can keep it until the damage has been paid for. This doctrine also applies to the cricket ball your neighbour's kids hit through your window. If you wonder what this has to do with towing cars, you're not alone. In 1984, a High Court judge observed: "It is not easy, and perhaps unwise, to make a very ancient remedy fit the vastly changed circumstances of modern life. If there ought to be a remedy to meet modern needs then it will come much more appropriately from Parliament than from the Courts." The owner of private land must have exclusive possession of the land, and you do not have the right to park there. There must be actual damage to property. Your car must still be on the land. But my car didn't cause any damage. Damage to property is an essential element of distress damage feasant. However, as physical damage is rarely caused simply by parking a car on someone else's property, the same judge recognised that, "If the remedy of distress damage feasant is to be applied to modern conditions then it seems inevitable that the cost of removing an illegally parked vehicle would need to be regarded as actual damage." What happens if I arrive back as my car is being hooked up to the tow truck? 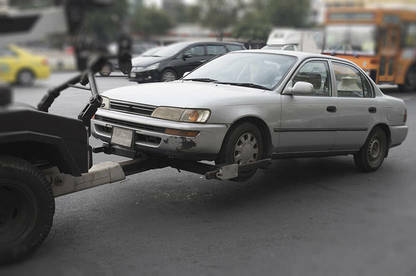 After considering a case in which a car was towed away from a parking lot with the owner still in it, the High Court ruled that distress damage feasant does not apply where the owner of the car has possession. This is based on the principle that there is a risk of breach of the peace attached to exercising distress damage feasant in the presence of the owner. So if you get into your car, effectively gaining possession and control of it, a tow truck driver must release it. However, most tow truck operators will attempt to charge you a call-out fee if they have already broken into your car in order to hook it up. You do not have to pay. If there are no warning signs, can my car still be towed? Yes. There is no legal requirement for private property owners to display a warning that cars will be towed if parked illegally, or to provide contact details for the tow operator. The AA and others have long been campaigning to improve the law in this area. We support the campaign (see our Private parking report). If my car was damaged while being towed, can I do anything about it? Tow truck drivers can break into a car to release the handbrake, provided they are not entering with illegal intent. Tow operators must take "all reasonable precautions" to prevent loss from or damage to any vehicle being towed. 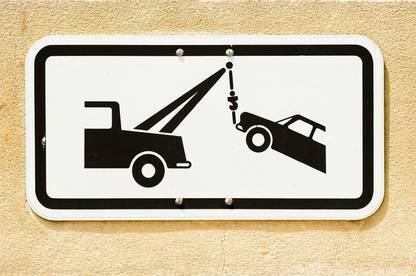 If your car is damaged or property lost complain to the tow operator directly. They are required to keep a single register of written complaints which must be available for inspection by any traffic warden or police officer. Remember to copy any complaint you make to the landowner. Let your insurance company know what has happened. They will make a claim against the tow company's insurer. If you are not insured or do not want to claim against your insurance, you will need to get the damage to your car assessed by a panel beater yourself. Once you know what the cost of repair is going to be, ask the tow company to compensate you. If it refuses, file a claim in the Disputes Tribunal. Is it legal for them to tow my car if my dog is asleep on the back seat? Yes. If a towie turns up to a job and finds your dog - or any other animal for that matter - in the vehicle, they can still tow the car, taking the dog with them. However, they are not allowed to have animals with them on the job. They can't keep a Rottweiler or German Shepherd in the cab of the truck for backup. If I can't afford the tow fee, can they sell my car? No. Cars towed from private land can be held until the fee is paid but cannot be sold without further legal action being taken. There must be some legal requirements for towies? Yes. The Land Transport Rule: Operator Licensing 2007 places a number of obligations on a holder of a vehicle recovery service licence - a tow operator. Tow operators and their drivers must be licensed. A tow operator is responsible for the conduct of his or her drivers. A tow truck driver must behave in an orderly and civil manner at all times while engaged in the operation of a vehicle recovery service. A breach of this rule can result in an individual being fined up to $2000 if convicted or a firm up to $10,000 if convicted. Tow operators must display on both the inside and outside of every tow truck their name, business location, contact phone number and the name of any organisation to which they belong (for example, the Transport, Tow & Salvage Federation). This identification must be clearly legible and visible at all times. A tow truck driver is only able to tow a vehicle if a "tow authority" has been completed. A tow authority is a form approved by the New Zealand Transport Agency (NZTA) requiring certain details be recorded. Details include the registration plate of the vehicle being moved, details of the person ordering the tow along with the details of the tow operator. The reason why the vehicle is being towed must be specified. A vehicle can't be towed unless the tow authority is signed by driver or vehicle owner, an enforcement officer, the landowner or the person who requested the tow. If this is not possible the tow truck driver must record the details of the person who requested the tow. A tow truck operator must maintain a registrar of tows which specifies all the tow authorities completed. A tow authority must be updated to the registrar within 18 hours of the completion of the tow. Contact the tow operator directly to resolve the matter. Remember a tow operator is required to keep a single register of written complaints. Contact an NZTA Regional Office to discuss the matter with a Transport Officer. Contact the Police in the case of serious criminal offending. How much can a towie charge? As much as they like? Well, not quite. There is no set amount a tow operator must charge when towing a car from private property. However, the courts have suggested they should only charge for "expenses reasonably incurred in removing an unlawfully parked vehicle". This makes it worth mounting a challenge in a Disputes Tribunal if the amount seems excessive. What's this about "Storage Fees"? After the first day, tow firms charge a "storage fee" for every day your car remains at their yard uncollected. The amount you will be charged varies but expect to pay $10-$15 per day. As with the tow fee itself you should challenge any storage fee you believe to be excessive, if necessary in the Disputes Tribunal. They won't let me pay by cheque. Towies do not have to accept a cheque and many will not. In most cases you will have to pay with cash or by credit card. If you are paying by credit card and want to dispute the matter later, write "without prejudice" on the credit card slip before you sign. Remember to keep your receipt: you may need it if you file a claim in the Disputes Tribunal. Do the same distress damage feasant rules apply on public land? No. Only a police officer or traffic warden has the power to authorise the removal of any car obstructing a road or vehicle entrance, or causing some other traffic problem. This includes the removal of cars parked on fire hydrants, footpaths or yellow lines. How much will it cost if my car is towed from public land? If your car is towed between the hours of 7am and 6pm on weekdays it will usually cost you $52.50, or $70.00 at any other time. However, you don't have to pay immediately in order to get your car back. Instead, you will be issued with a further ticket which includes a stationary vehicle infringement fee which you must pay within 28 days. The cost of the infringement fee varies depending on the infringement but is generally $40-$60. If your car is towed from a clearway, for example, the infringement fee will be $60. 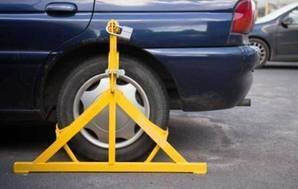 Councils do not tow indiscriminately and will usually only issue an infringement notice. There are some exceptions: cars parked in clearways or otherwise creating a hazard will be towed, as will those parked in entranceways (although a complaint may have to be made). I got charged a towing fee, and the tow truck hadn't even arrived. You incur the towing fee the minute the tow truck is called. However, if the parking warden is able to "on-charge" the fee to another illegally parked vehicle nearby, they may waive the tow fee. Television New Zealand's Fair Go programme has highlighted exploitive activity of some wheel-clamp and tow-truck operators. A campaign was started to petition the government to take action in addressing the uncertainty surrounding legal rights of motorists using car parks. We support the campaign - see our Private parking report for more information.